The All Progressives Congress (APC) has said that the resignation of the suspended Chief Justice of Nigeria, Justice Walter Onneghen, is a clear indication that his suspension by President Muhammadu Buhari was not a witch-hunt. The party also said that the development had proved that the allegations against Onnoghen were not cooked up and that they were indeed very serious and warranted the action of the president. The National Publicity Secretary of the APC, Mallam Lanre Isa-Onilu, who spoke to journalists on Friday, said the party rose in defence of the President because it knew that he meant well and that his action was driven by national interest. “Now, events have proven the President right. Events have proven the party, APC, right. Events have proven those Nigerians who believe Nigeria first and any other things after, events have proven them right,” he said. 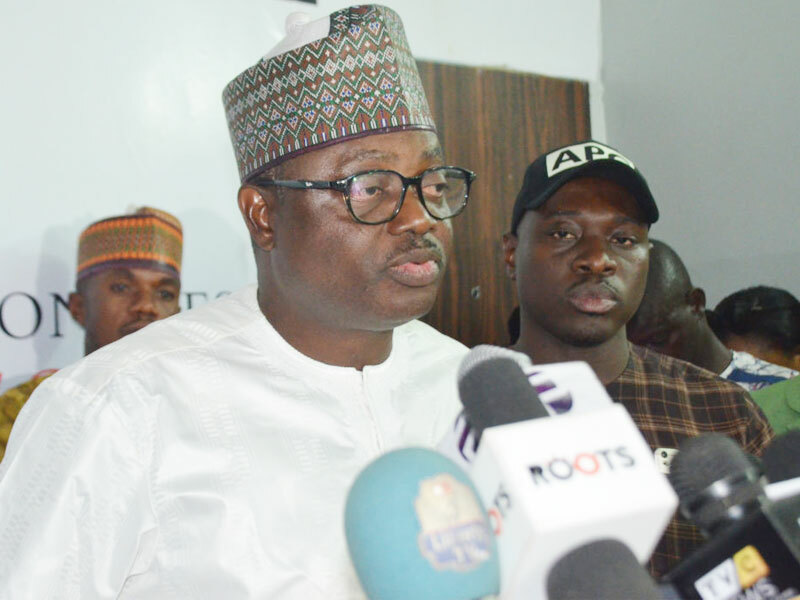 Isa-Onilu said that when the issue first came up, the opposition, especially PDP and some of their allies in the Civil Societies, cried foul, alleging political motive without properly interrogating the allegation. Isa-Onilu said: “We all can only be hiding behind one finger, otherwise we knew Nigerians, reasonable Nigerians knew from the word ‘cooked’ that those allegations were not cooked up and if they were real, the next thing for the CJN to have done was to have stepped aside… There is no where in the world where judgment is passed on every sinner at once. “It is not every armed robber you can catch the same day. And even some you know, the slow wheel of justice may not catch up with them immediately but we must continue to see evidence that we are moving towards that sanity that we are making progressive efforts and sending strong signals to people who think this country must continue as long as they are comfortable and the rest of Nigerians are suffering. We must send that signal to them. It is not going to be business as usual”. He said the lesson to be learnt from the travails of Onnoghen was that no one, no matter how highly placed, is above the law, adding even if the president misbehaves, he should be ready to face the law. “Now, you have seen the head of National Assembly, Senate President, you have seen him in the dock. Now, you have seen the CJN in the dock. So, one day we will see a President that will also misbehave in the dock, which now shows that nobody is above the law of this country; that we are all equal before the law. “So, anybody who finds himself in any position, should now begin to look closely at his own actions knowing fully well that today may protect him but tomorrow may expose him,” he said.